Flint Knapping is slowly becoming a lost art and (as we found out) is a very dangerous one. 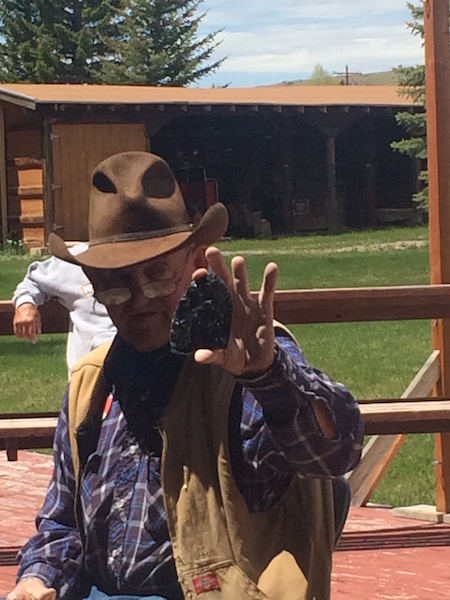 Tom Lucas who is a local artist and ancient native tool expert gave an amazing stone chipping demonstration otherwise known as flintknapping. A technique used by native Americans and passed down through generations, though Mr. Lucas was self-taught. Tom Lucas taught himself, as a boy, flint knapping through trial and error. He was extremely entertaining and told several stories how he scared his mother by almost cutting off several fingers, and his hand several times and even recently made a huge gash in his hand which needed several stitches. This is not for the light of heart and is very dangerous if you know what you are doing and especially if you don’t. The demonstration took a little over an hour, and the kids sat in amazement as he made this huge churt or volcanic rock, into an arrow-head. He had no idea what it would become when he started and explained this over and over to the kids. 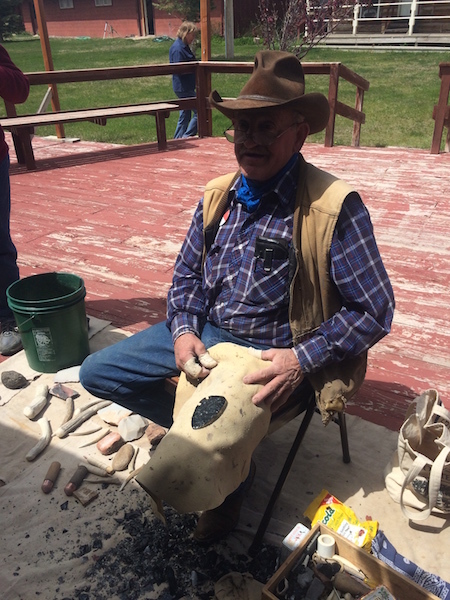 I was amazed that people like, Mr. Tom Lucas, still do flintknapping today. Mr. Lucas explained not to plan out what you are going to make but let the piece be formed as you make it. He told us that nothing is ever perfect and sometimes those pieces turn out to look the best. This entry was posted in Art/Music, crafts, Math, Unschooling and tagged demonstration, dubois, flintknapping, stone chipping, tom lucas, Wyoming by Chrissie. Bookmark the permalink.